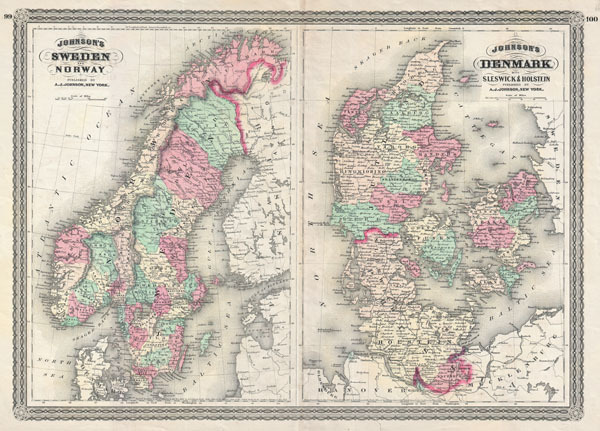 Johnson's Sweden and Norway. / Johnson's Denmark with Sleswick & Holstein. Very good condition. Minor discoloration on original centerfold. Minor verso repairs mostly confined to margins. Blank on verso.